Do You Avoid Building Relationships with Your Database? WHAT TO DO OR WHERE TO START? We all know that people love to be celebrated and appreciated, it just feels good. When we take the time to acknowledge those around us it makes an impact more than you know. When we understand the importance of getting personal, we are intentional about the way we interact and stay in touch with everyone. We become deliberate in the way we collect information so that we can connect in a way that is meaningful to them. 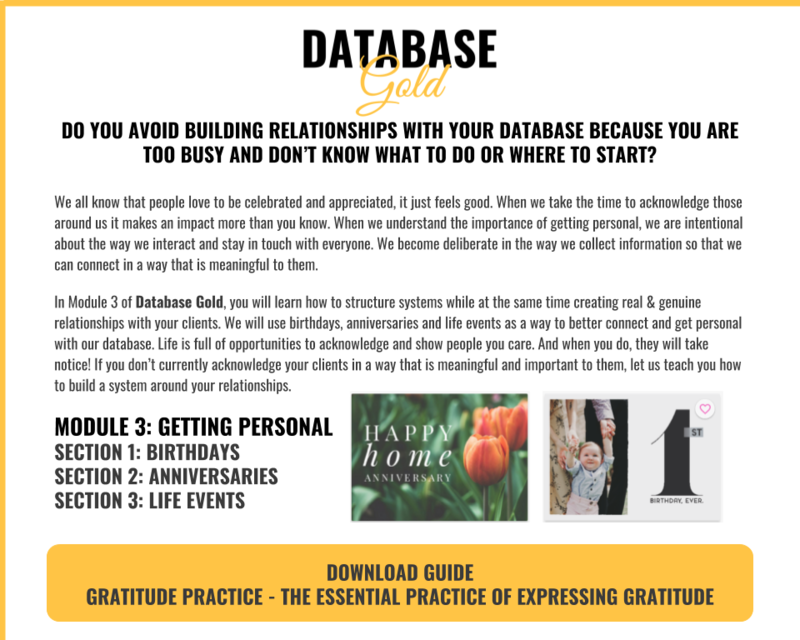 In Module 3 of Database Gold, you will learn how to structure systems while at the same time creating real & genuine relationships with your clients. We will use birthdays, anniversaries and life events as a way to better connect and get personal with our database. Life is full of opportunities to acknowledge and show people you care. And when you do, they will take notice! 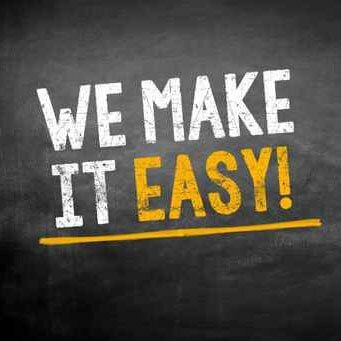 If you don’t currently acknowledge your clients in a way that is meaningful and important to them, let us teach you how to build a system around your relationships.